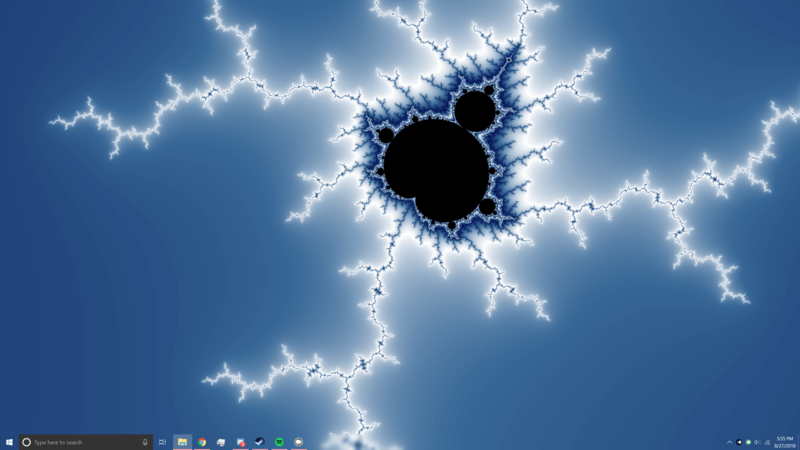 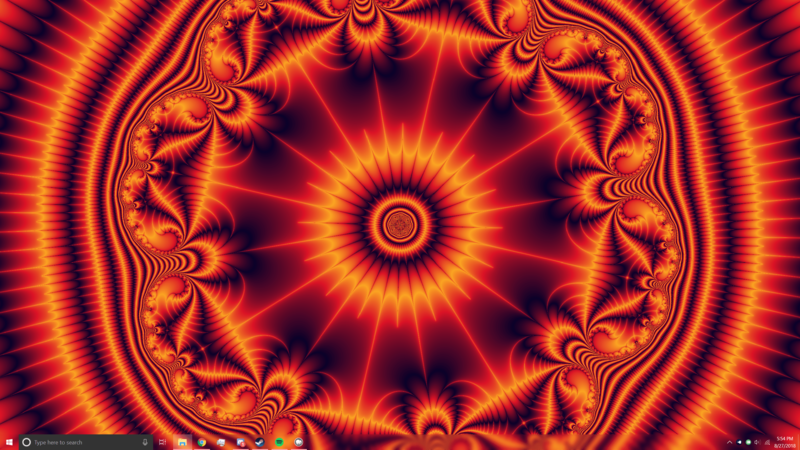 Fractal To Desktop can render any location in the Mandelbrot Set all the way up to 2^1024. 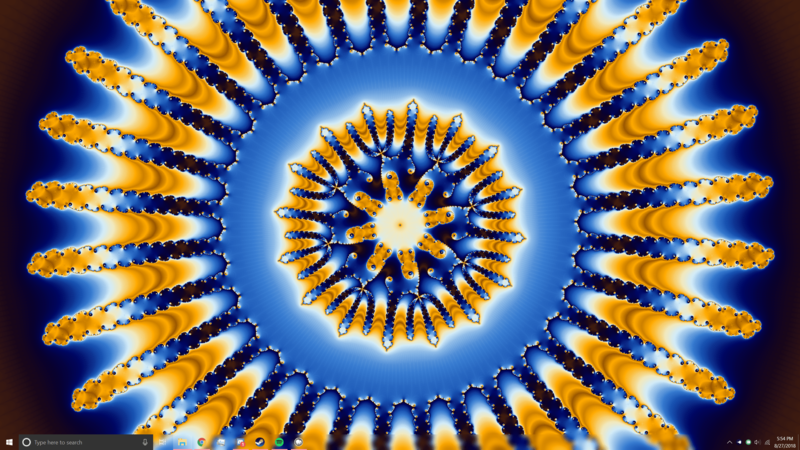 That's the equivalent of zooming from the size of the universe down to an atom 8.5 times! 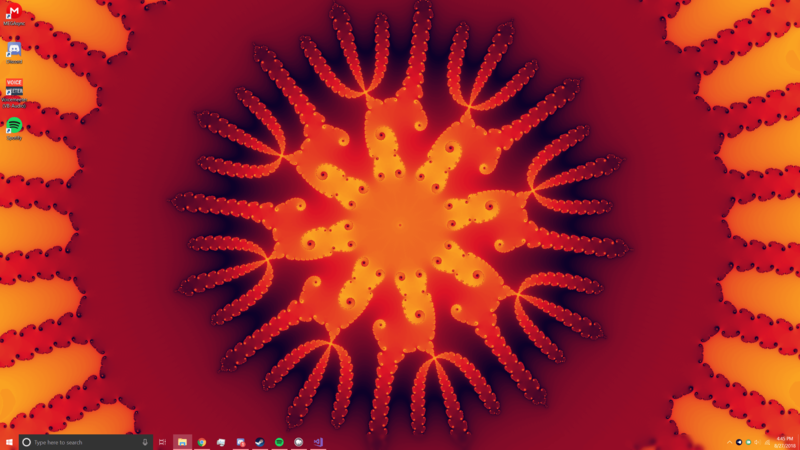 Fractal To Desktop features a gradient creator where you can choose any colors you want and they'll be rendered onto the Mandelbrot Set. 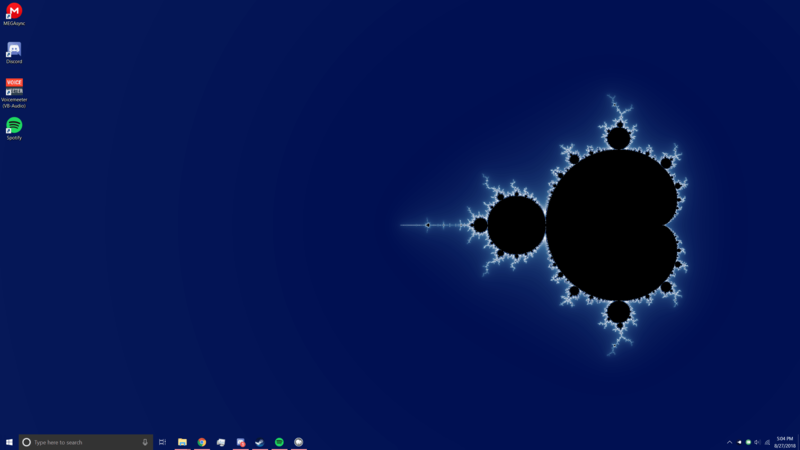 Fractal To Desktop runs on new fractal generation math that relies on Perturbation Theory, allowing it to render thousands of times faster!